The Italian lifestyle tends to revolve around the gathering of people enjoying each others company with good food and wine. Needless to say, the kitchen is very important space, as are the tools in it. De’Longhi is probably most known for their small household appliances…even though many are now made in China, with design and engineering remaining largely in Italy. 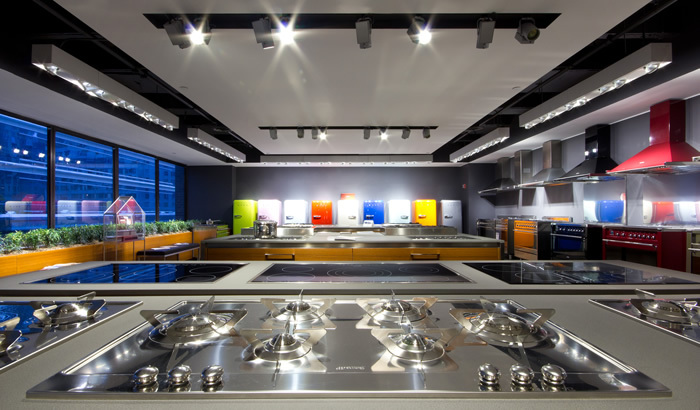 But Italy isn’t always recognized for large appliances – yet one particular company has been around for awhile with continued growth and success. 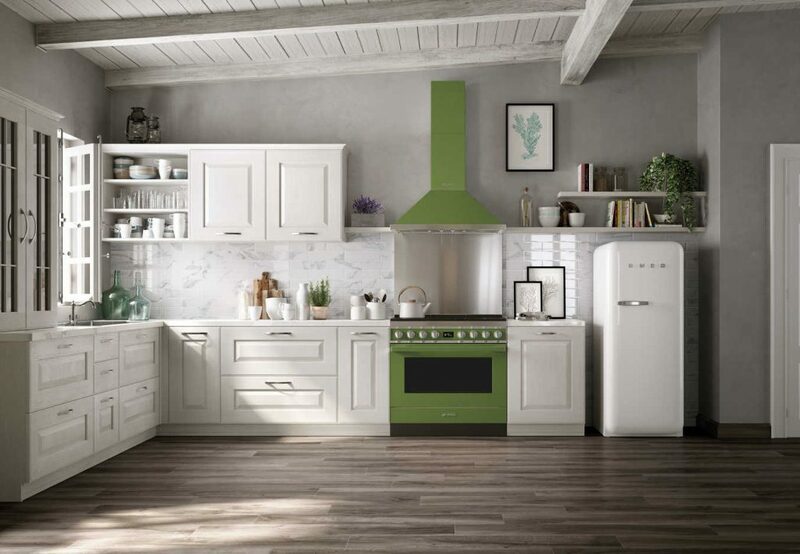 Smeg is an Italian home upmarket appliance manufacturer based in Guastalla, near Reggio Emilia in the north of Italy. Vittorio Bertazzoni founded the company in 1948 in the village of Guastalla. 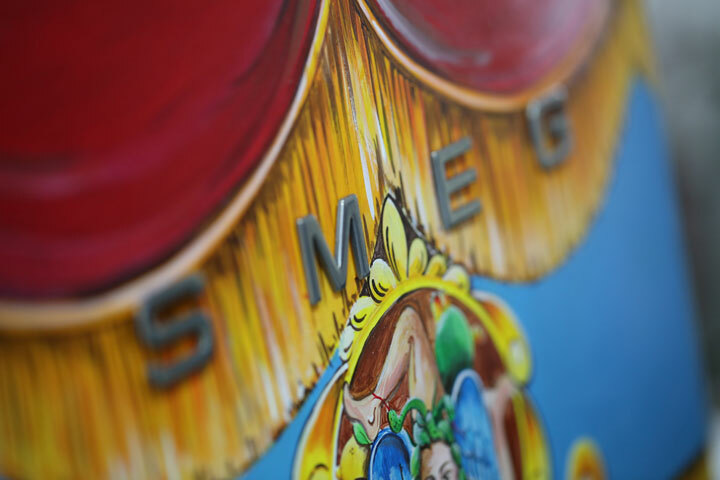 Smeg is an acronym for Smalterie Metallurgiche Emiliane Guastalla, or metal enamelling factory. The company remains in the private ownership of the Bertazzoni family with its headquarters still in Guastalla. 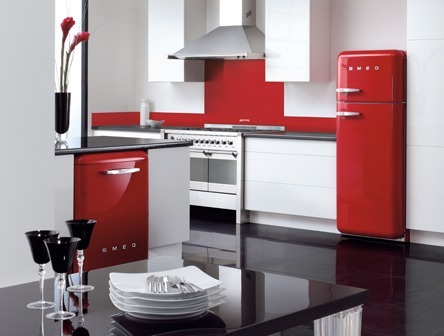 Smeg is best known for its FAB range of 1950s-style, retro refrigerators that have curved corners and come in a variety of non-traditional colors and patterns. The company also manufactures dishwashers (freestanding – available in FAB style, semi-integrated and fully integrated), washing machines, ovens, microwaves, cooktops, freestanding cookers, rangehoods, refrigeration, wine cabinets, in-built coffee machines. Smeg has 15 subsidiaries worldwide (in the UK, France, Belgium, the Netherlands, Germany, Sweden, Denmark, Spain, Portugal, Russia, Ukraine, Kazakhstan, South Africa, USA and Australia), overseas offices in Hong Kong and Saudi Arabia and an extensive sales network. 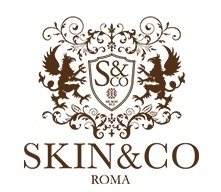 Most recently Dolce & Gabbana have been collaborating with Smeg designing unique artistic small appliances and refrigerators.